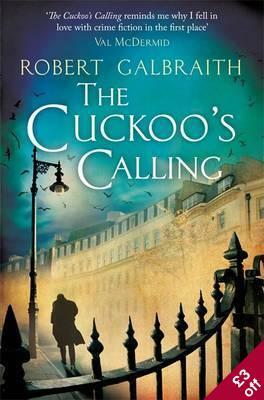 July 2013 – Reader! Read Faster! It’s not just about publishers releasing the right book – it’s how they support bookshops once the title is in the shop. Here’s a quick glimpse at some of our promotional displays on our first floor. With apologies to Edgar Wright, from whom we stole some fancy camera angles. 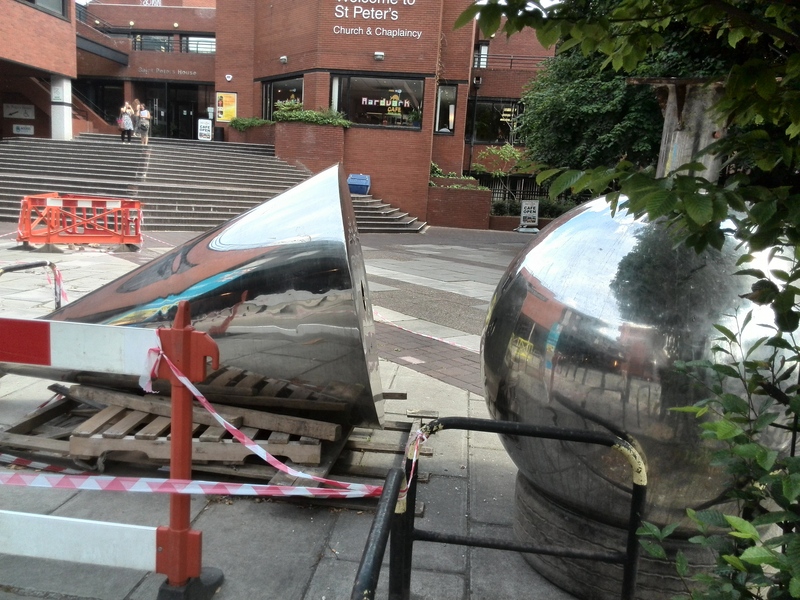 We’re pretty sure that’s a real actual real spaceship they’re building across the road from our bookshop. Out of the blue, a 50-year-old story about an unassuming literary scholar has become somewhat of a sensation. The likes of CP Snow had long been decrying the lack of success of John Williams’ Stoner. 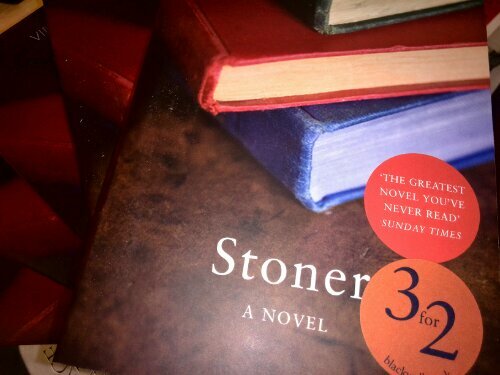 Stoner should delight fans of modern literature – assuming, unassuming or otherwise. Come see. 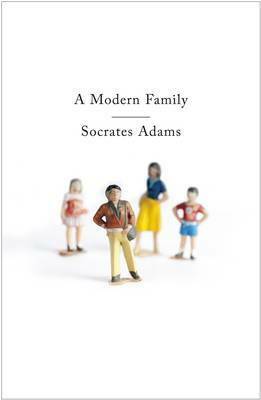 You’ll find it in our fiction department under W.
Last night, we had a grand launch of A Modern Family (Bluemoose Books) by Socrates Adams. 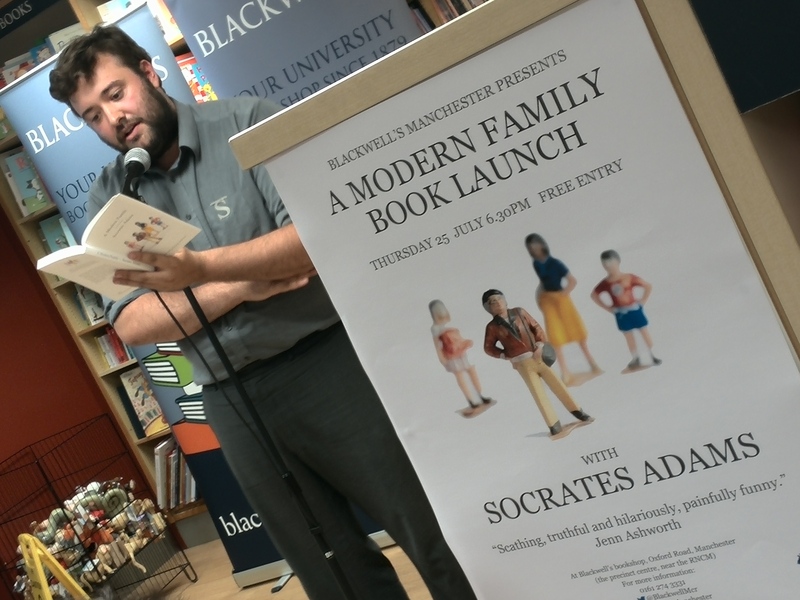 Socrates read alongside Chris Killen and a fun time was had by all. You can see some photos from the event on our Facebook page. Click here to have a look. Massive thanks to everyone who came and to Bluemoose for the support. Now, *this* is an author photo. This is Mario Livio in the back of his new book Brilliant Blunders, which looks at huge scientific mess-ups which happened to change the world. 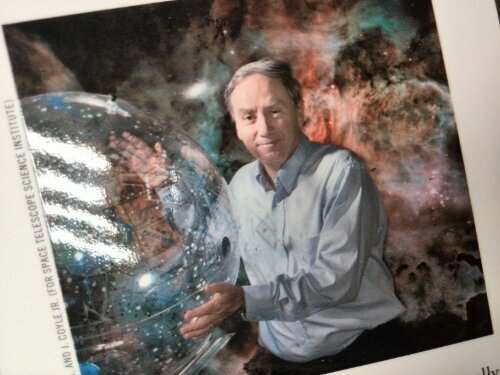 Inflatable globes in space…author photo-takers, up your game!